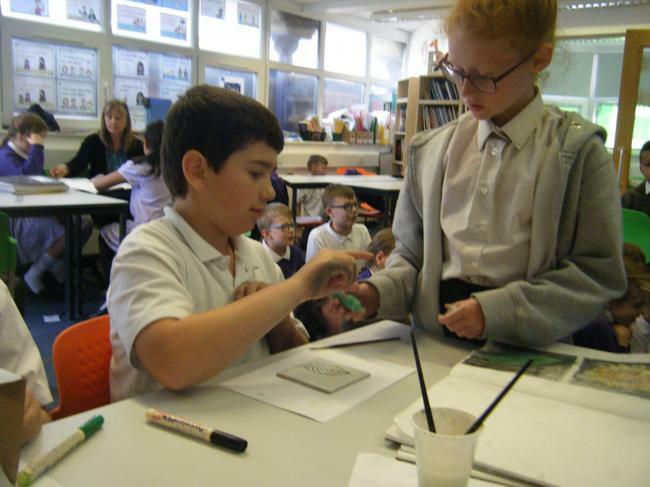 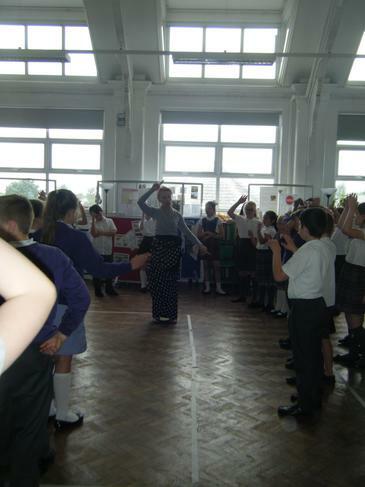 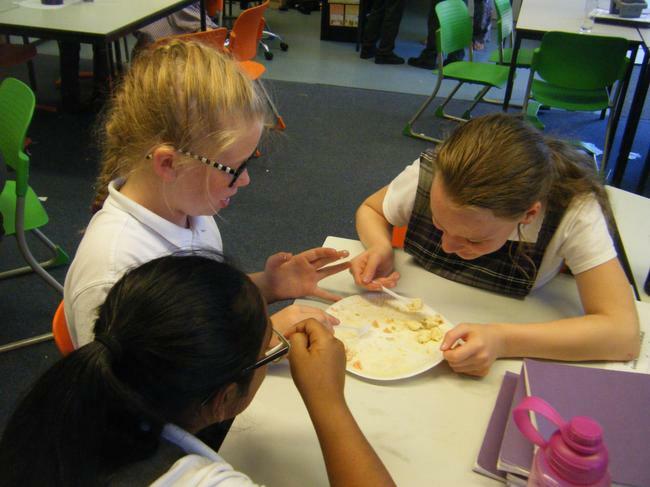 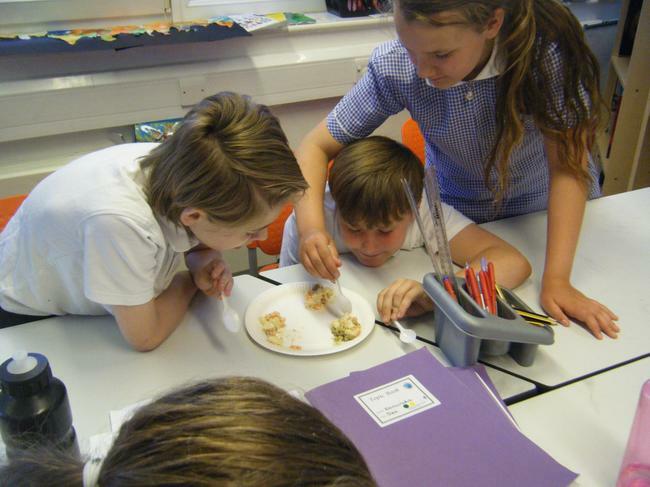 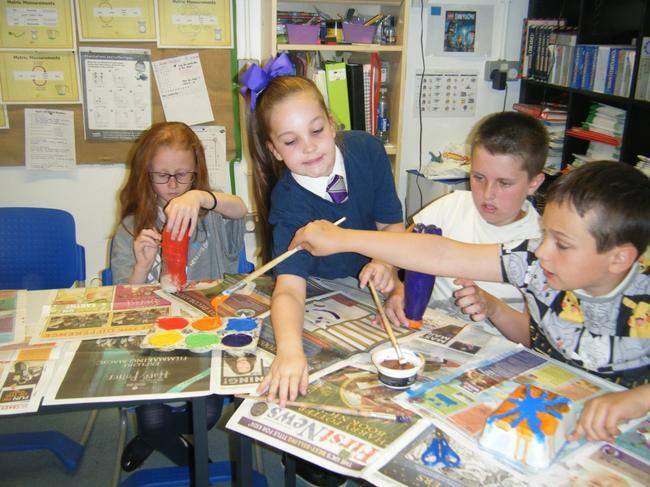 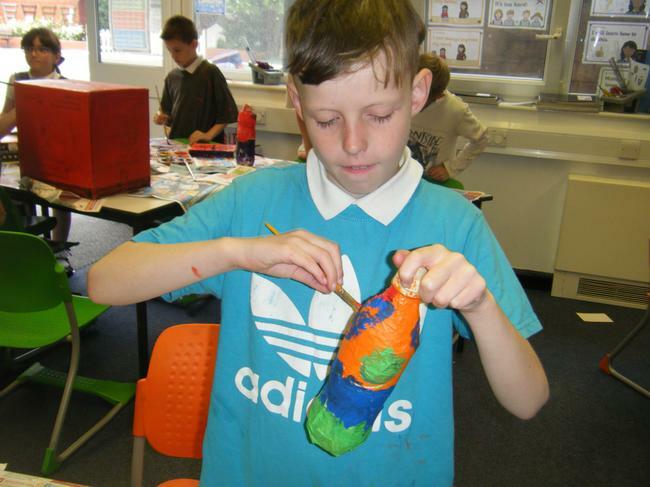 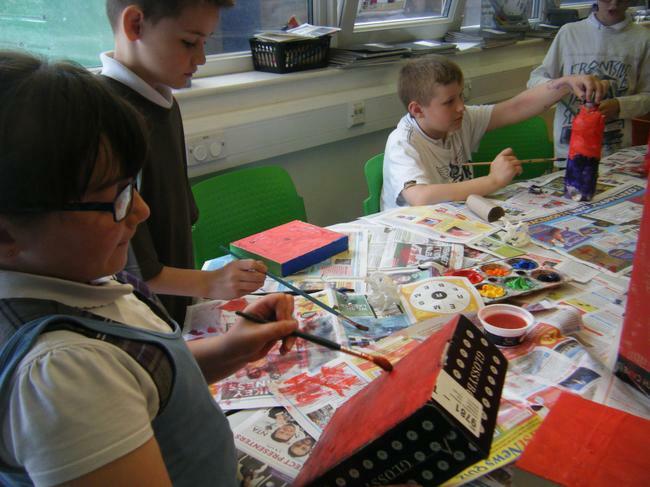 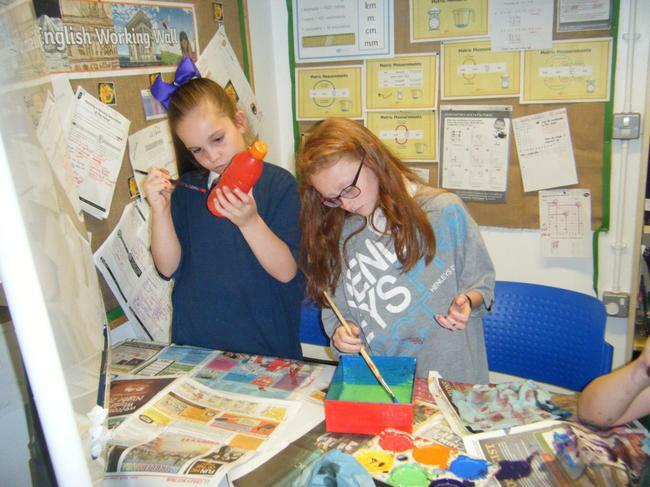 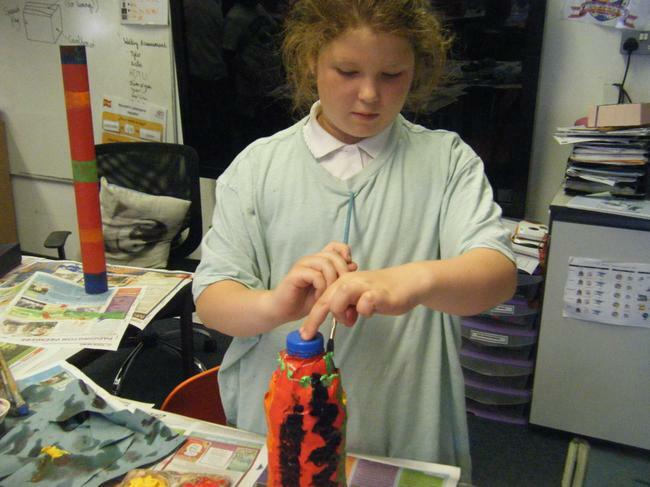 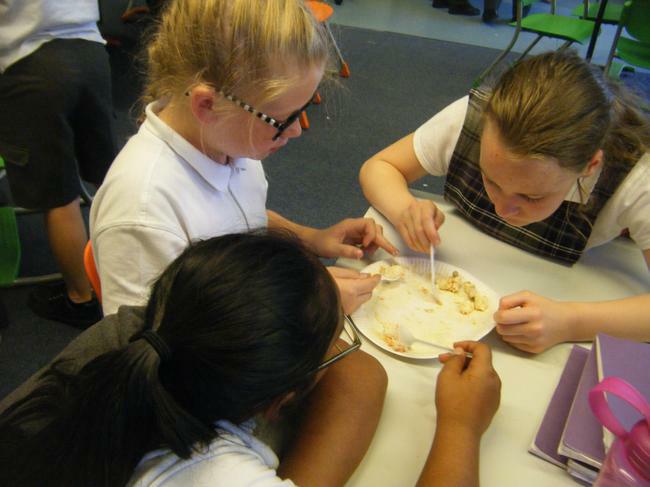 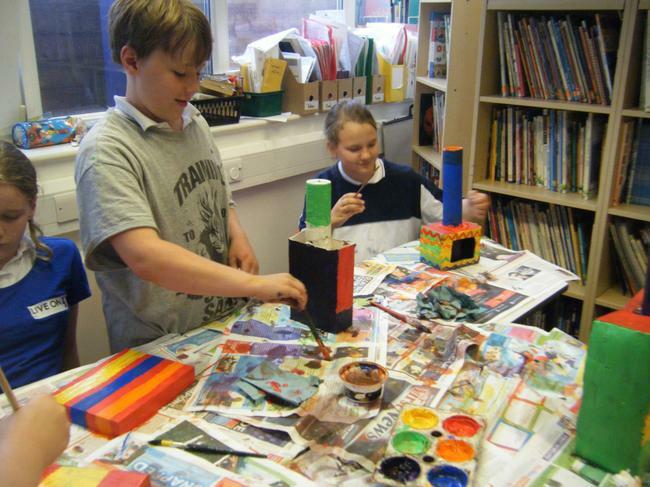 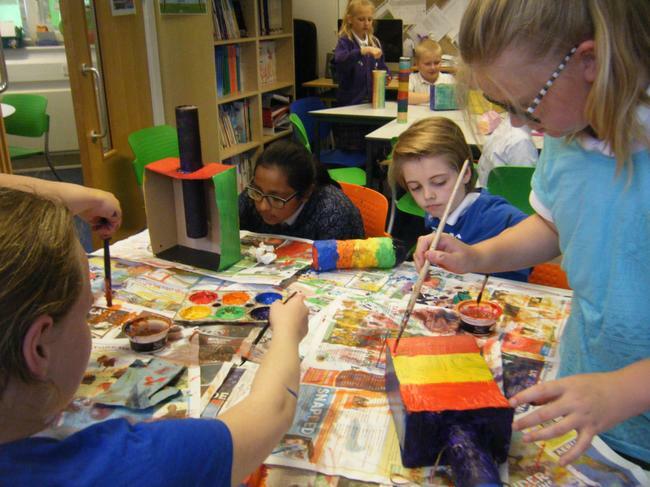 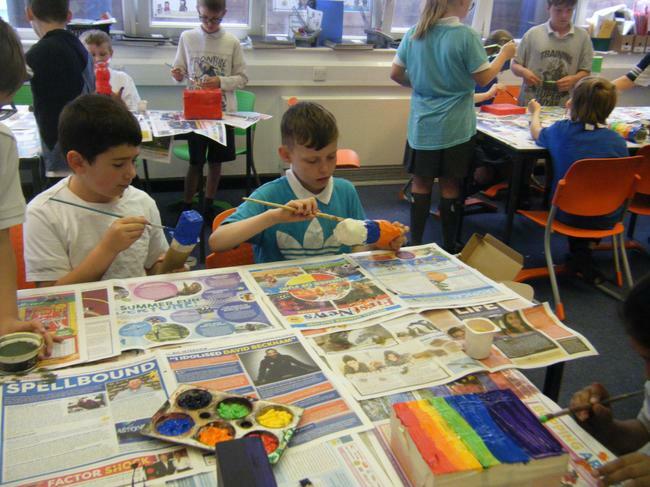 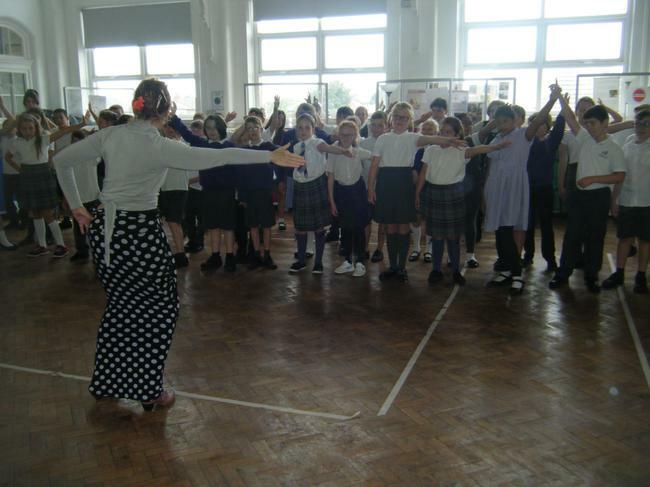 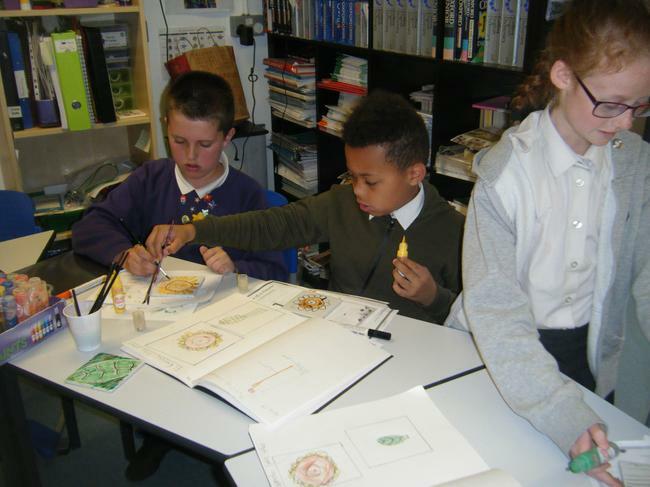 In Year 5 we have celebrated Arts Week in a variety of ways. 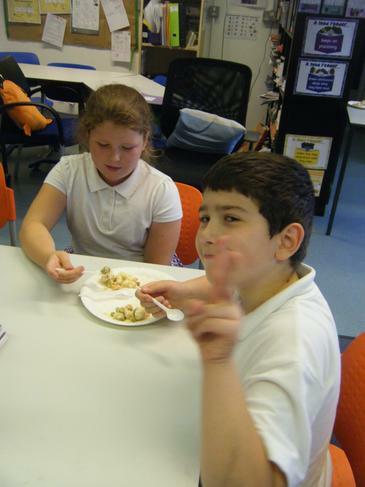 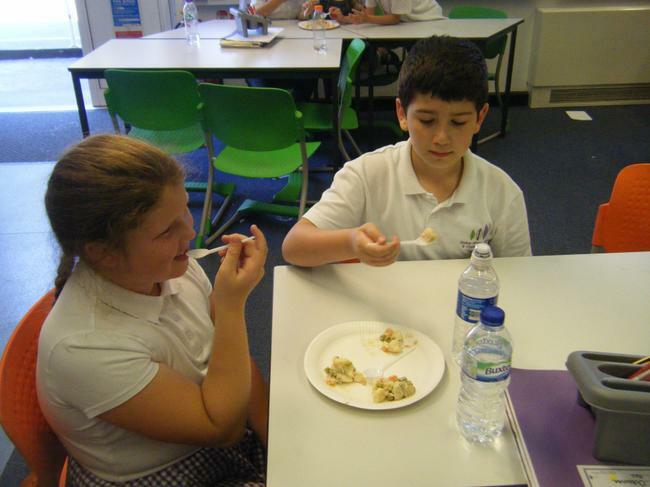 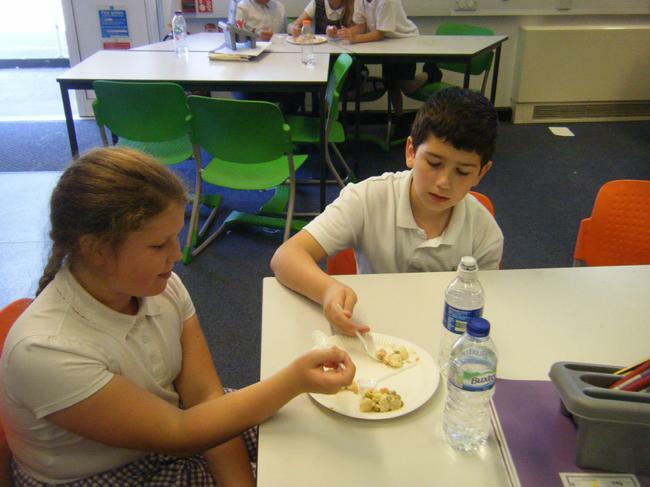 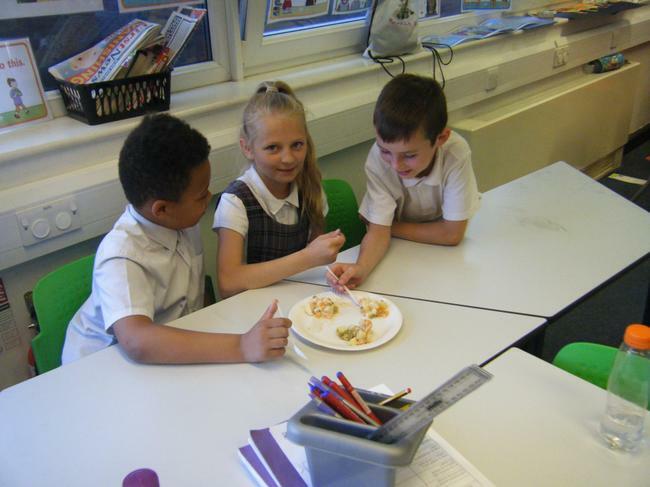 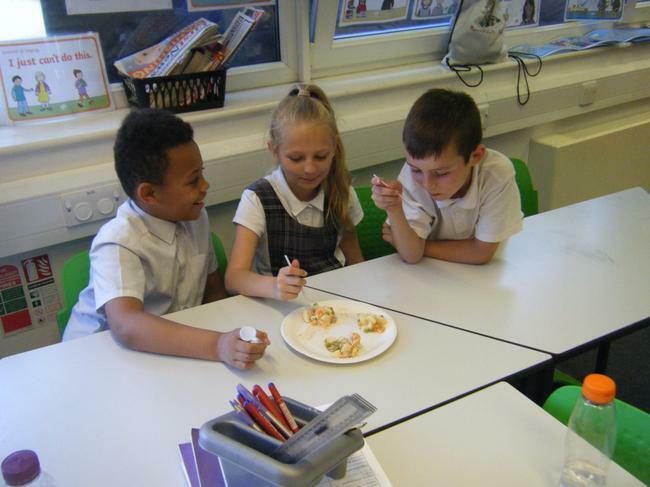 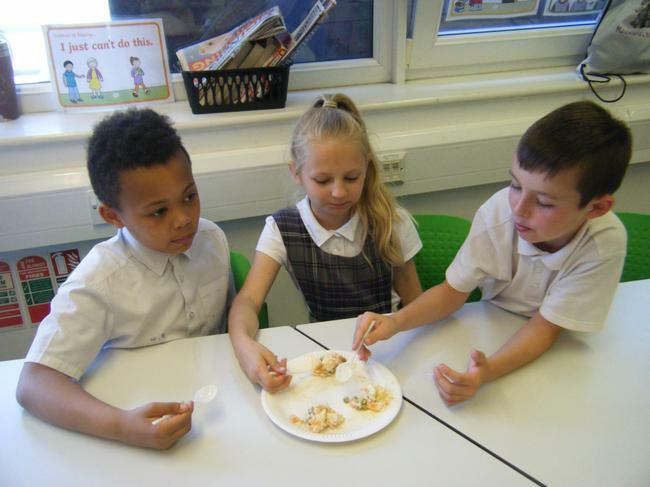 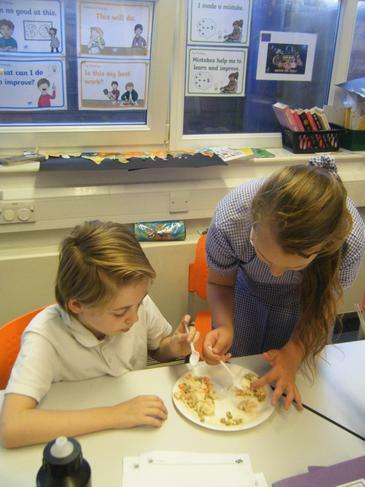 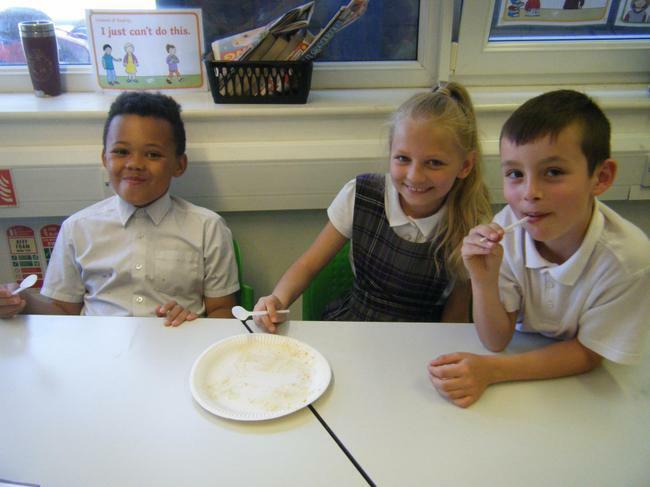 We have tried some authentic Spanish food, such as chorizo, jamon, Manchego cheese and a variety of olives. 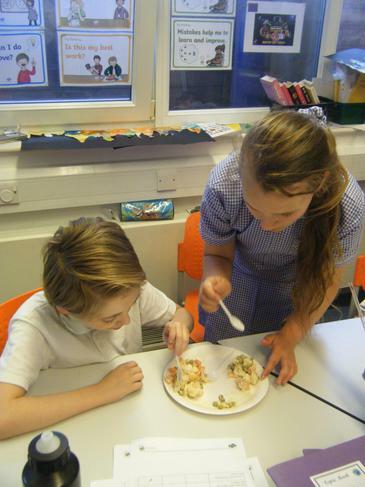 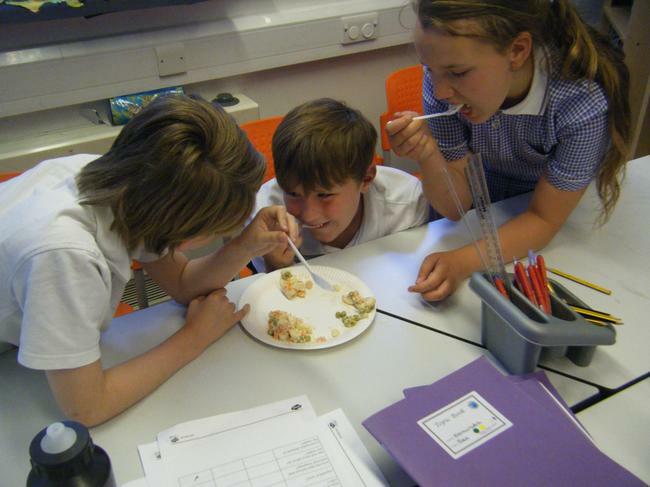 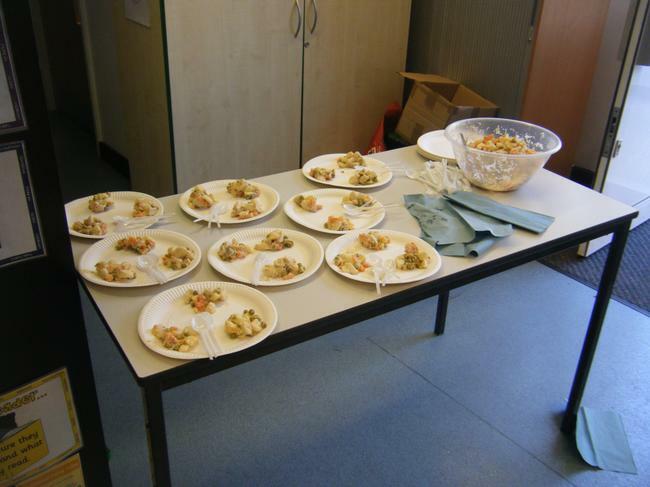 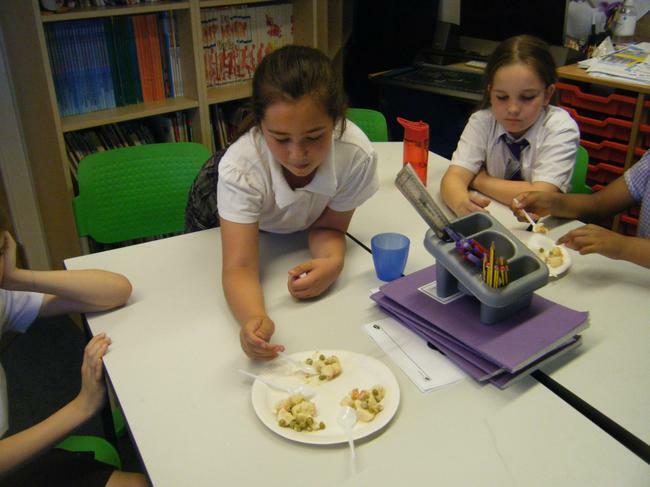 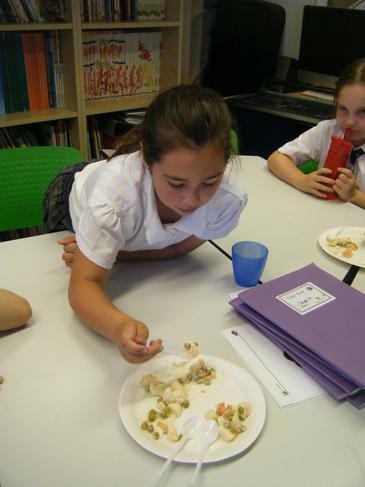 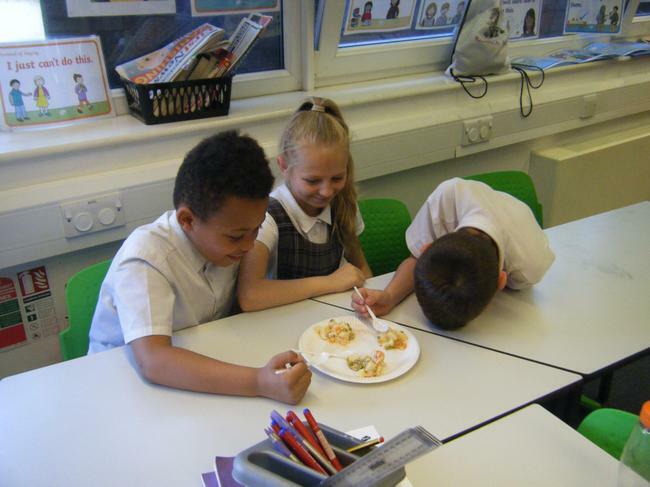 We also re-created a Spanish dish called Ensalada Russo, which is a Russain salad; a popular Spanish meal. 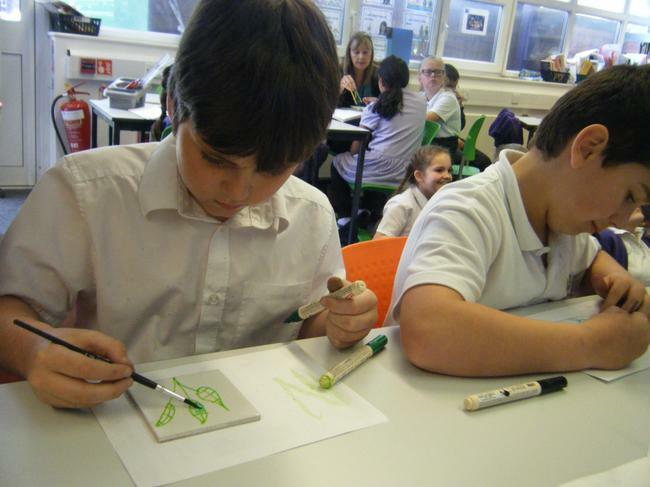 In our Art and Design lessons, we learnt about the famous Spanish architect Anthoni Gaudi. 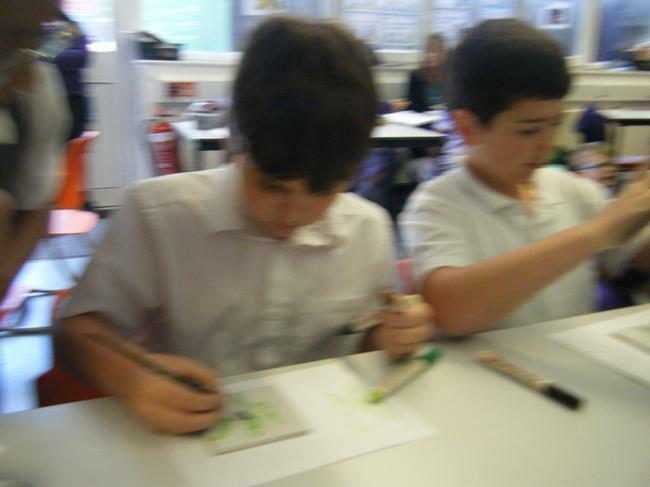 We looked at his various works, especially El Capricho (which several members of staff have been lucky enough to visit). 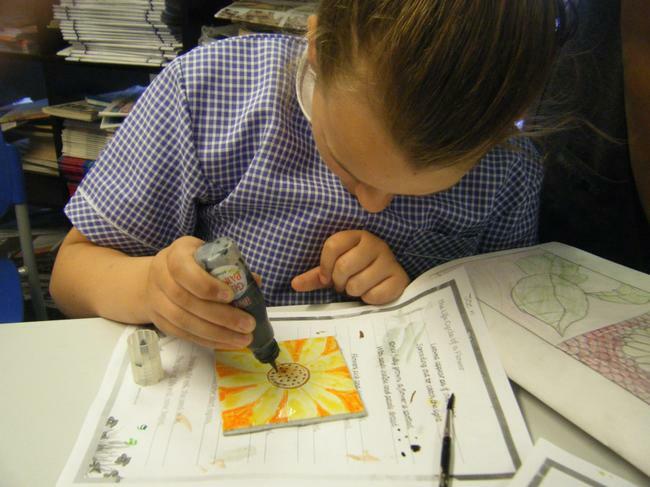 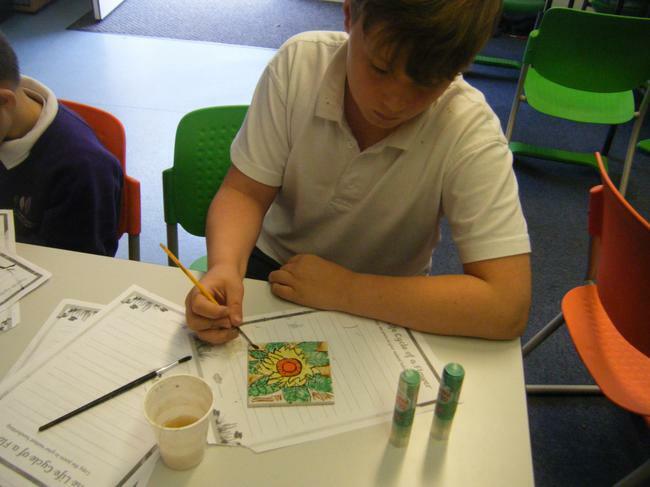 We used our knowledge of El Capricho to create our own ceramic tiles, decorated with the sunflower or leaf motif. 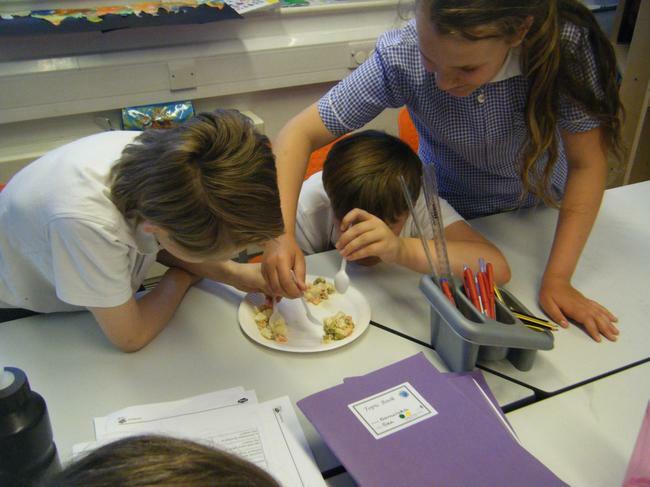 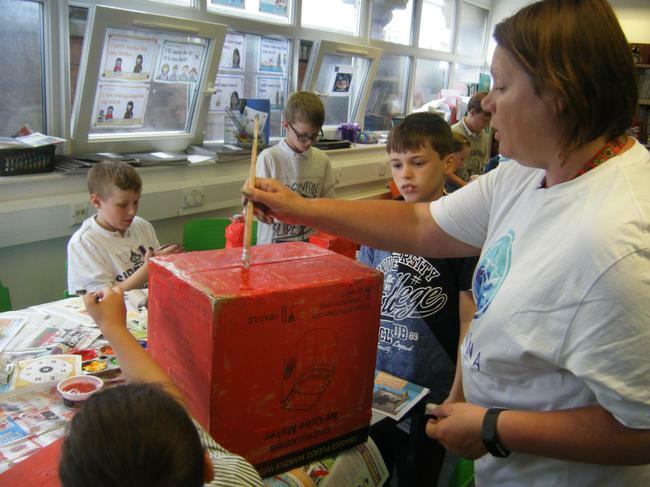 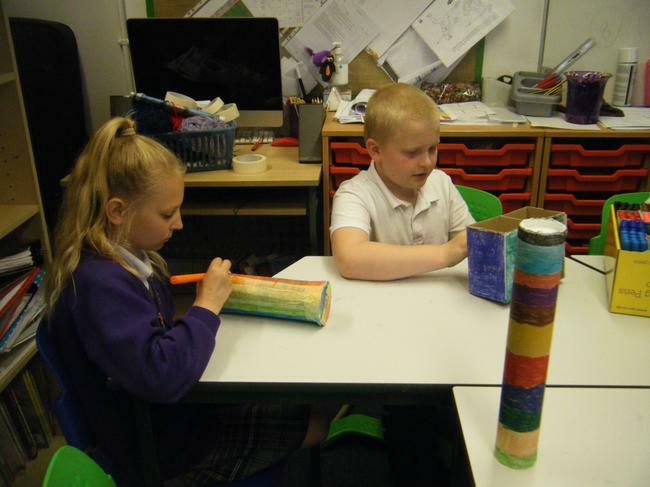 We also looked at Gaudi's other buildings and created our own 'Gaudi City Skyline', re-creating his unique style. 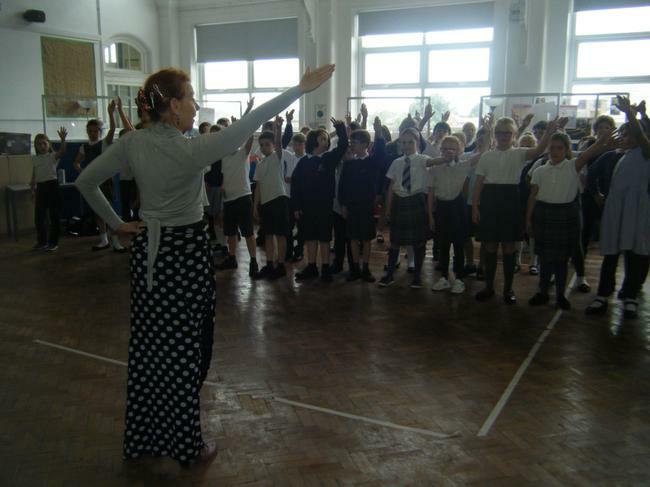 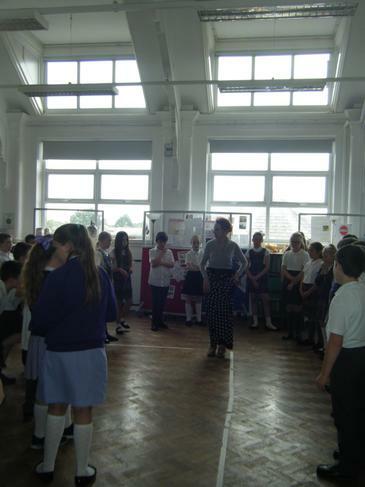 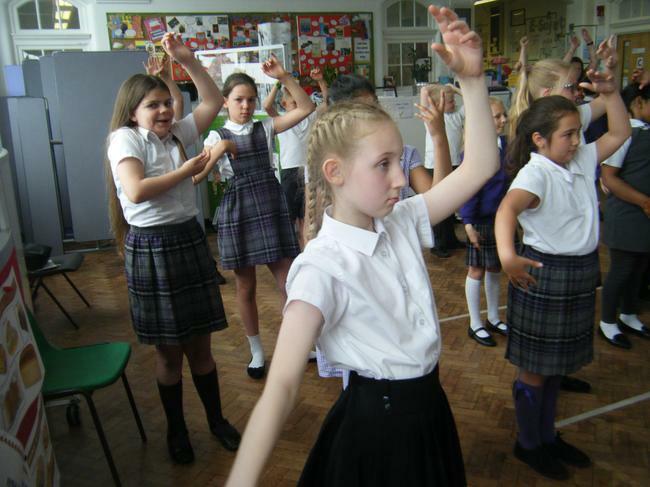 In our PE lessons, we learnt a type of Flamenco dancing and the history behind it. 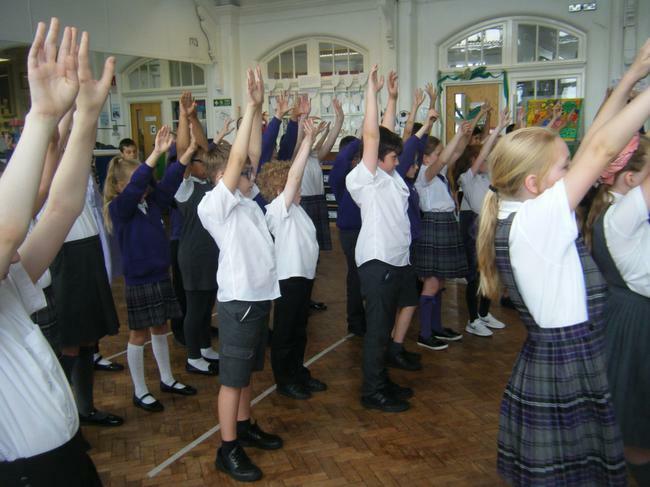 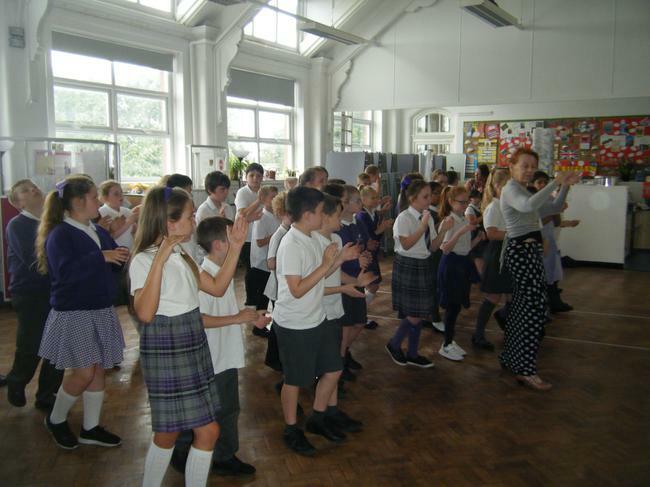 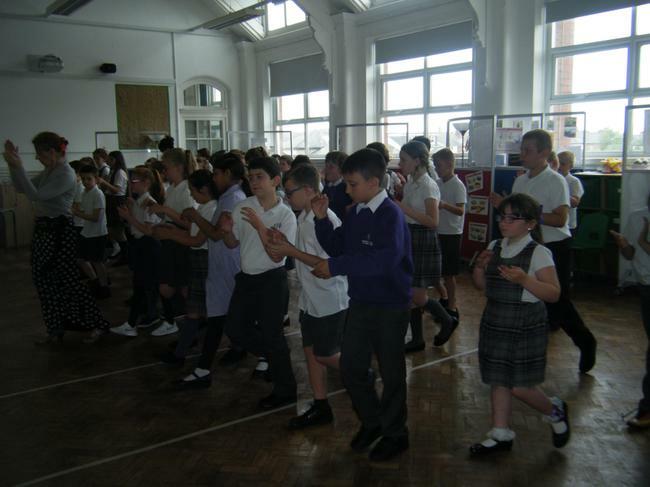 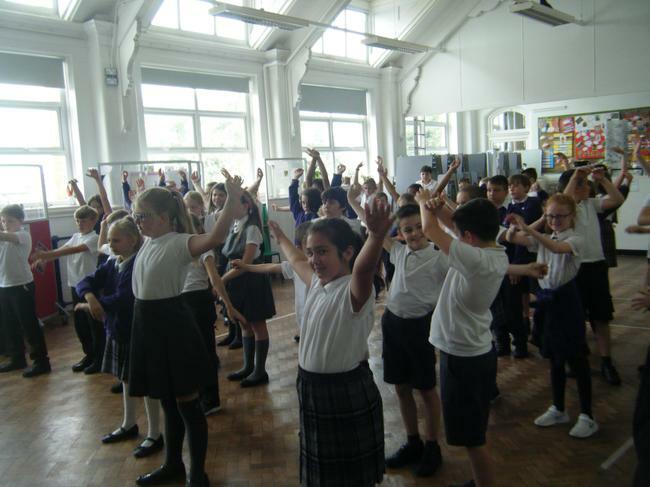 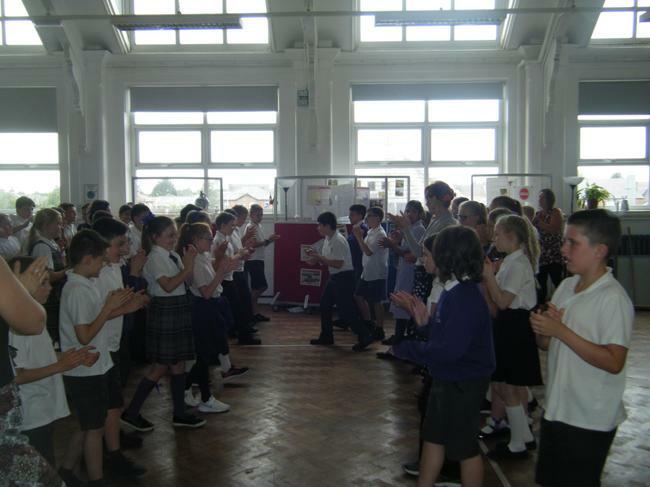 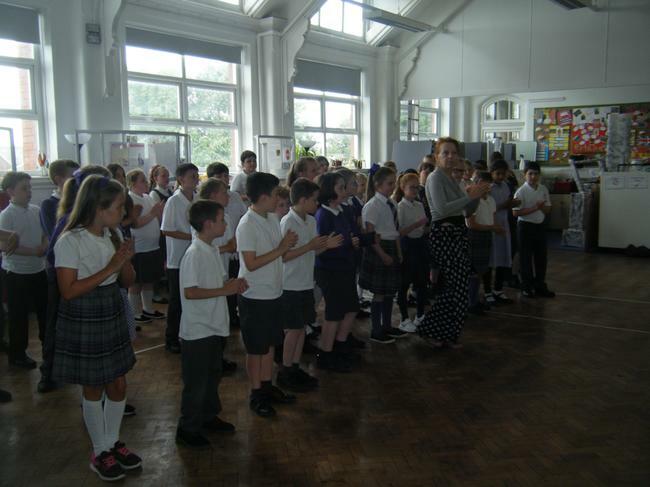 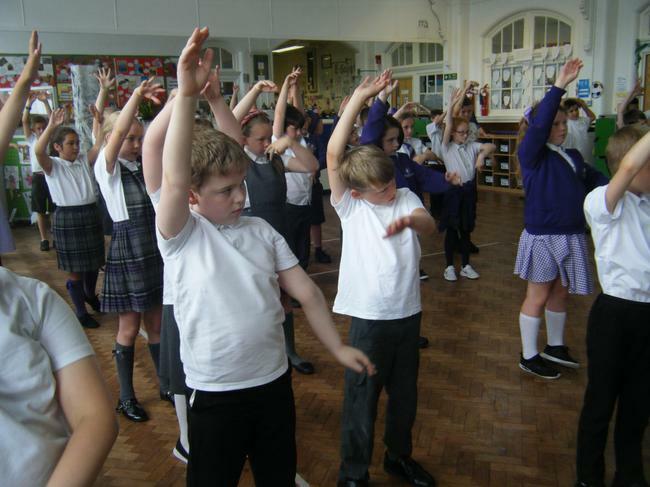 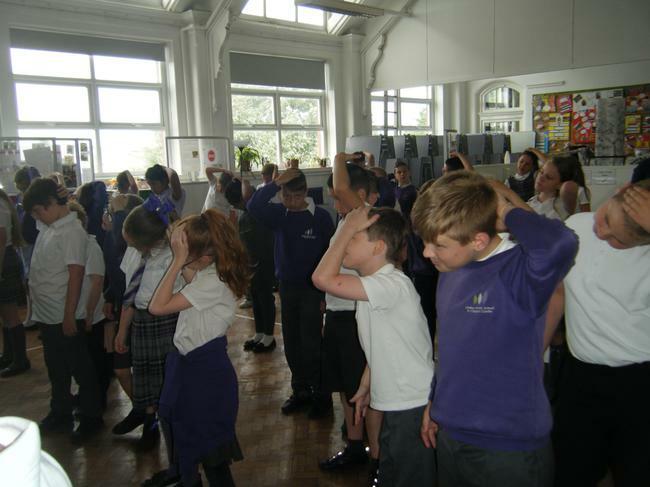 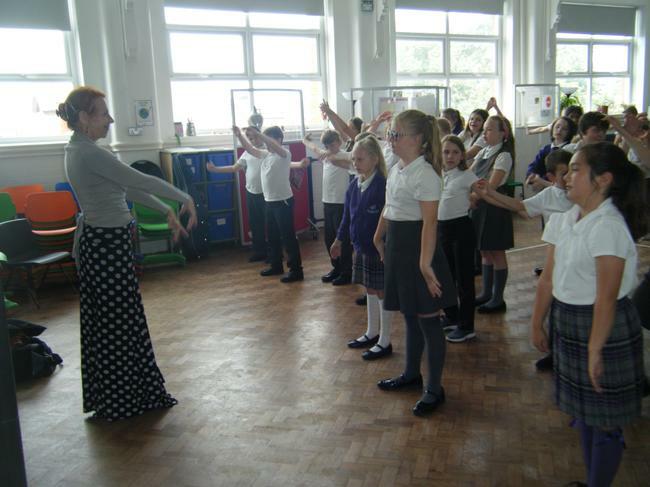 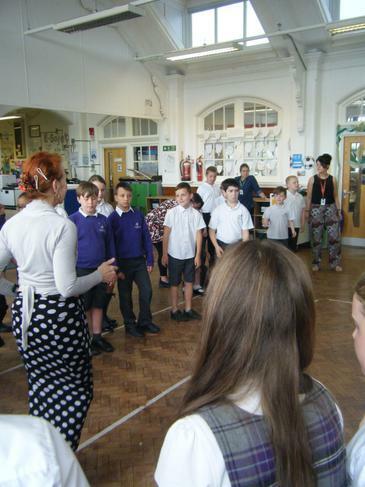 We also learnt other types of Spanish dances; including The Ketchup Song! 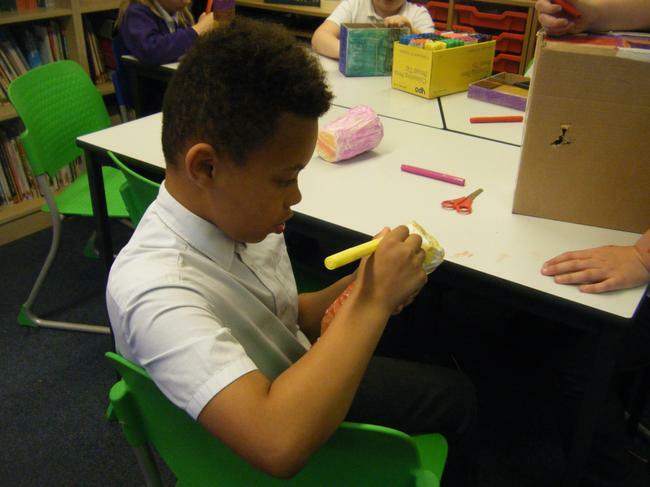 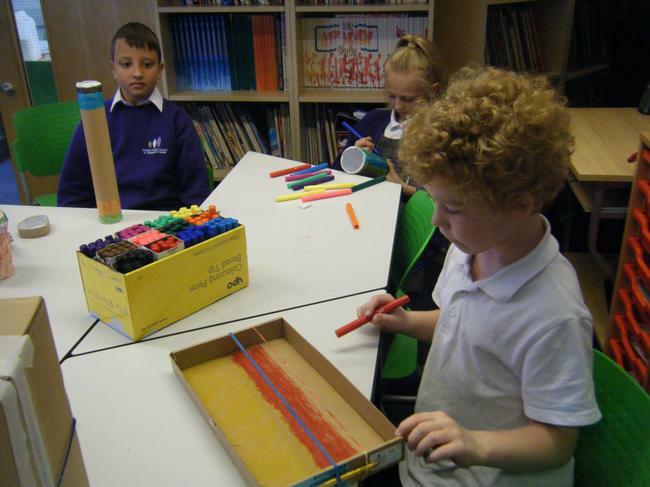 In our Music lessons we learnt about the styles of Spanish music and created our own instruments so we could play along.